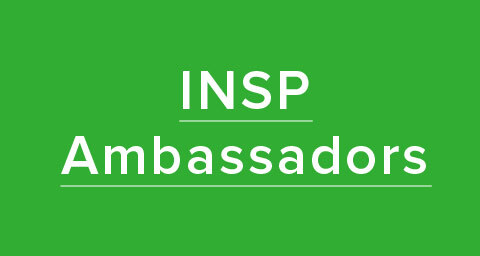 The finalists for Best Cultural Feature in this year’s INSP Awards have been chosen – and it’s time to find out who’s made the final five! The nominees for the Best Cultural Feature all came from the hundreds of contributions we’ve received over the past year to our unique News Service. Our shortlisting panel have selected their top five features, revealed below, from which our international editorial judging panel chose the winner. 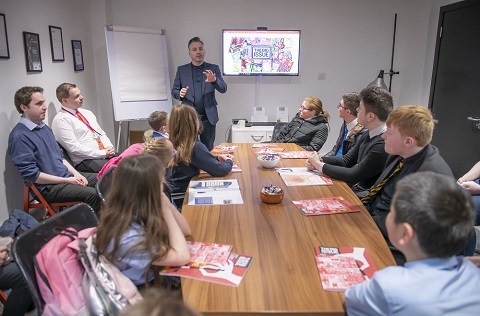 The awards take place during the Global Street Paper Summit in Manchester in two weeks’ time, where the winner will be unveiled! Congratulations to our finalists, and keep an eye on the INSP website and social media over the coming days, as we announce more finalists for all our categories. 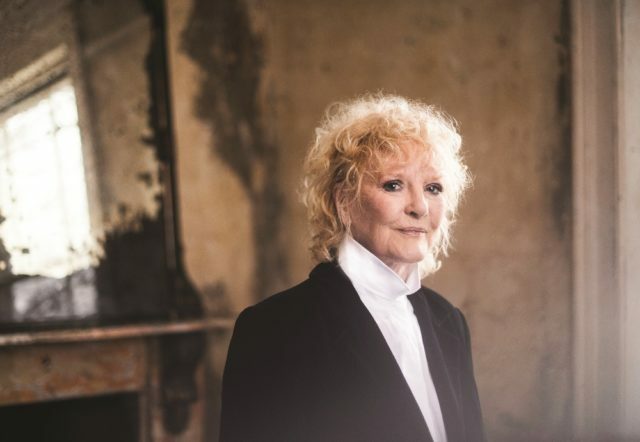 She’s been covered by Frank Sinatra, danced with Fred Astaire and caused unexpected controversy by being the first white women to touch a black man on U.S. television in 1968 – but 84-year-old Petula Clark has no plans to quit her long career any time soon. Following the release of her new album, From Now On, the singer shares a life of fighting shyness and depression to shine onstage. 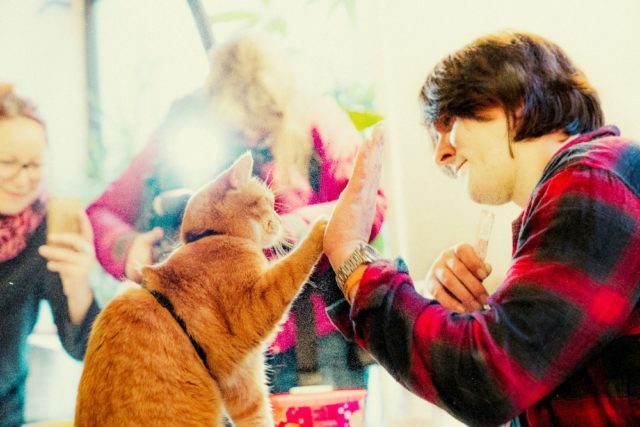 Now a genuine movie star, Street Cat Bob and his owner, former Big Issue vendor James Bowen, recently visited the Norwegian offices of street paper =Oslo. 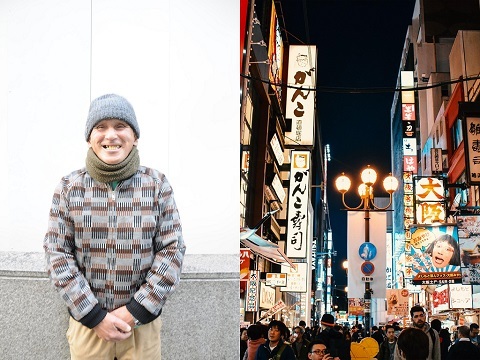 James talked to staff and vendors about how his life has changed thanks to the ginger moggy. 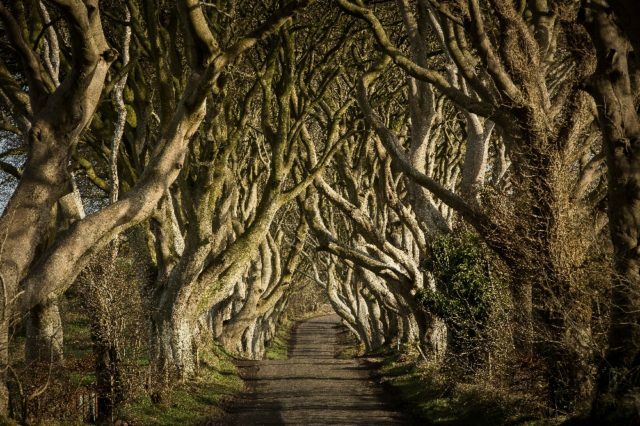 The Big Issue’s Andrew Burns recently took a tour of Northern Ireland’s stunning landmarks – the backdrop for TV sensation Game of Thrones. On location, he talks to the people who became part of the country’s most lucrative opportunity. The programme has brought £166m into the province’s economy, and continues to bridge old divides. 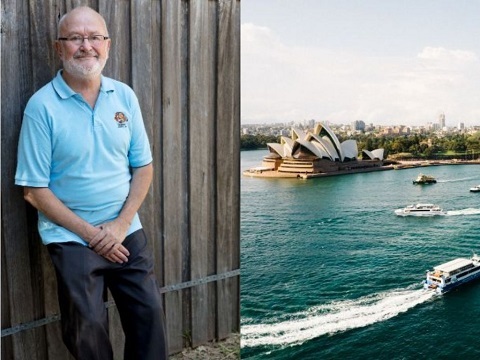 “Landowners, neighbours, councils, environmental agencies – they used to be afraid of Game of Thrones. Now they love it,” explains location manager Naomi Liston. 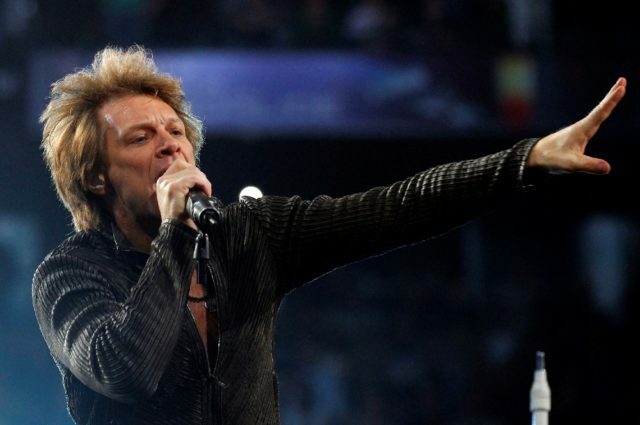 Jon Bon Jovi has sold more than 130 million records. He’s also a one-man anti-poverty movement. In this interview with the Big Issue, Bon Jovi talks candidly about his music legacy, the shock departure of guitarist Richie Sambora from the band, and his charity work tackling homelessness and hunger. Speaking ahead of the US Presidential election, the strong Democrat supporter also predicted that Trump did have a chance of winning. “I’m not defined just by the music, that’s a calling card. 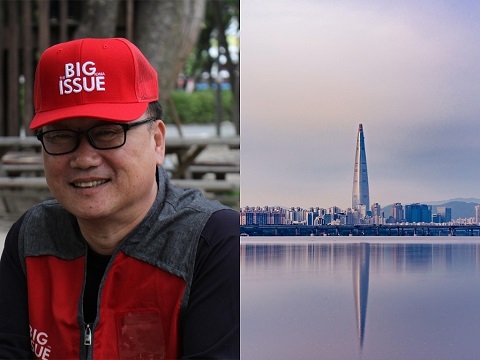 I’m very proud of the foundation’s work,” says the 54-year-old. Rooted in religion, superstition and compassion, the final meal of U.S. death row inmates dates as far back as capital punishment itself. 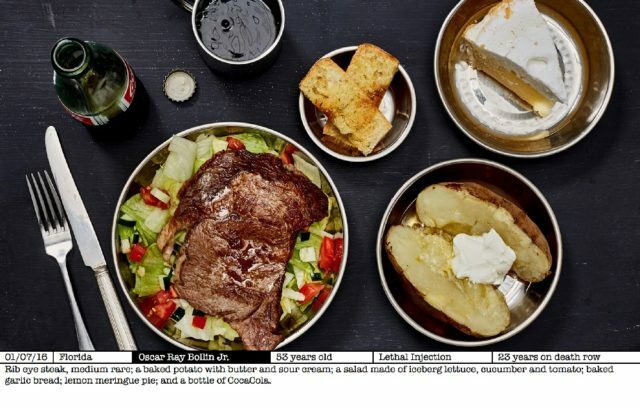 World renowned photographer Henry Hargreaves aims to humanise inmates via their last meal requests, captured in his book, A Year of Killing. 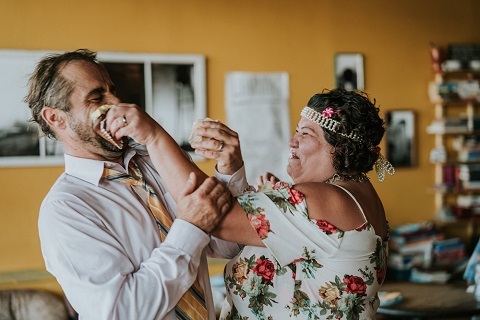 “As I read about their requests, they became people in my mind and not just statistics,” Hargreaves tells The Curbside Chronicle. 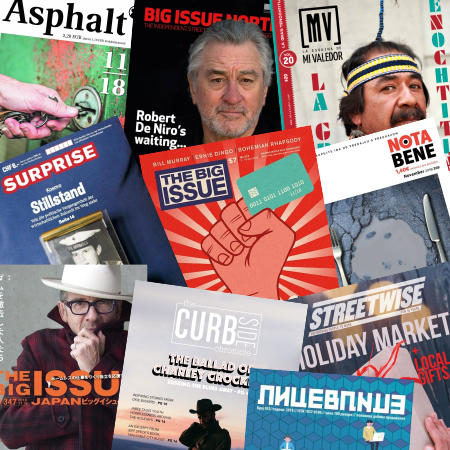 We received a record number of entries for the 2019 INSP Awards – with an impressive total of 365 submissions from 54 street papers in 28 countries. Some LOVEly covers have caught our eye this month – here’s our February round-up of front pages. 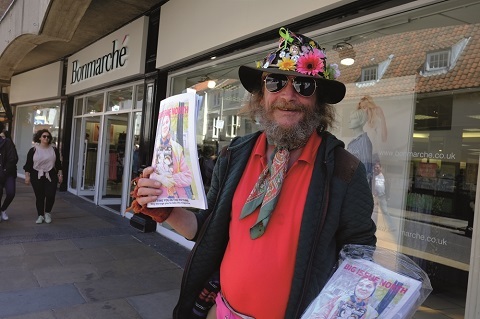 Norbert has sold street papers all over the UK and has settled into a new rhythm of life since moving to York two and a half years ago. 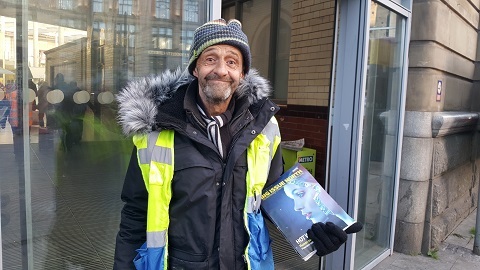 He’s happy to work in a city where magazine vendors support each other and is hoping to establish a permanent pitch outside York train station. 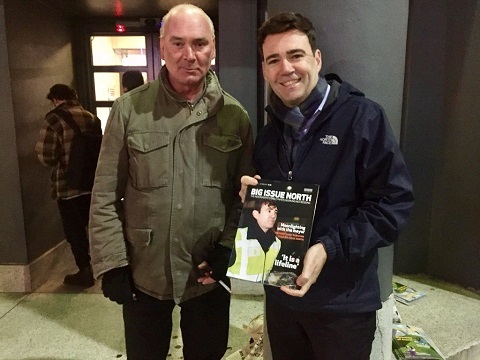 Norbert is also passionate about campaigning on issues affecting the homeless and runs the Homeless Britain Facebook page in addition to his work as a vendor. 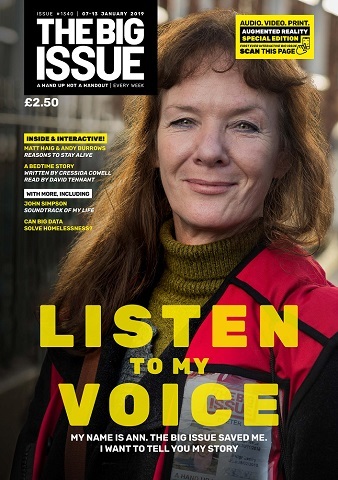 In collaboration with The Big Issue, vendors from street papers across the world have been sharing some insider tips on the cities they live and work in, which we are sharing during #VendorWeek. Here, Big Issue vendor Lee talks about Cambridge. 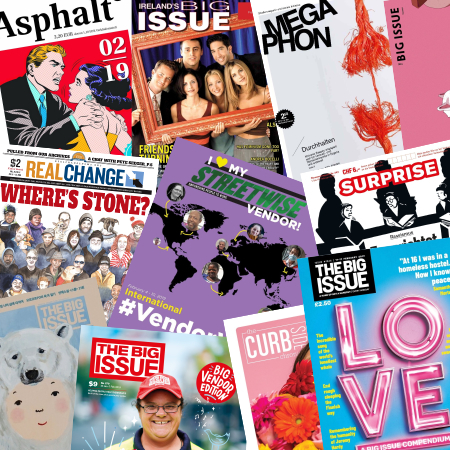 2019 is well and truly underway, and the new year has brought with it an impressive array of street paper covers to cast the winter blues away! 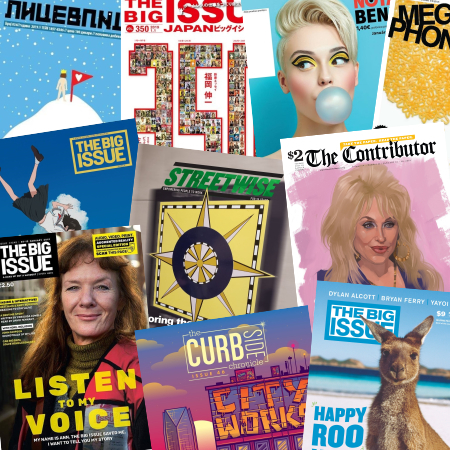 With the festive season in full swing and Christmas Day less than a week away, we take a moment to cast our eye over the street papers, calendars, books and other goodies on sale by vendors during December. This year we asked vendors: if you could give a song as a present this Christmas, what would you choose? The result was the INSP Vendor Playlist, which is now available for your listening pleasure. Dave from Big Issue North dedicated this song to his heroic fellow vendors. 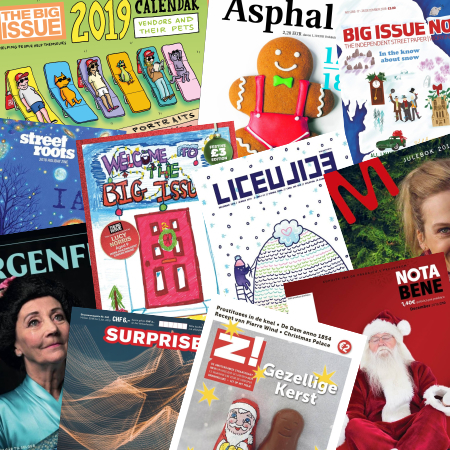 As the festive season approaches and we prepare to open the first door of our advent calendars, time to take a look back at the street paper covers that have been sold by our vendors in 34 countries around the world during November.